The Catholic Medical Mission Board serves under privileged woman, children and families in some of the worlds most hostile and deprived lands. Celebrating this milestone event required understated qualities that spoke to the mission, work, accomplishments and future while looking towards the next 100 years. 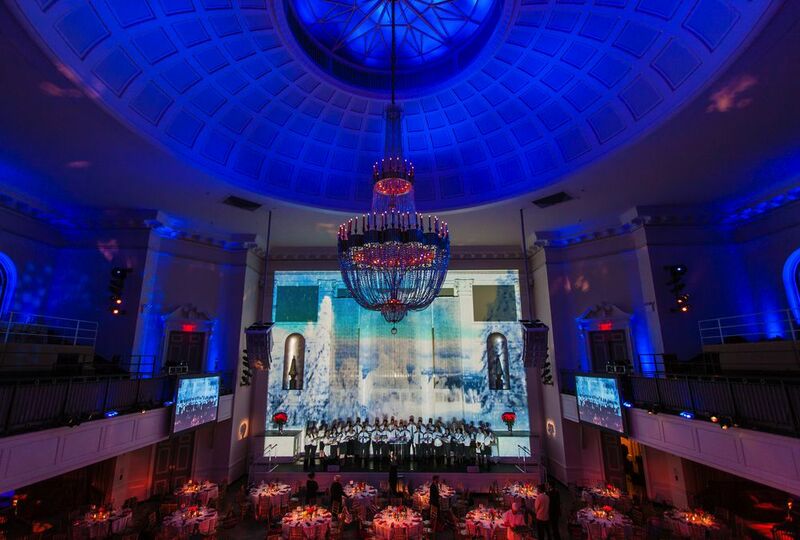 Staged at Park 583 Park in Manhattan, the space is a renovated religious hall which featured a beautiful white façade of alcoves, columns and a majestic golden pipe organ. 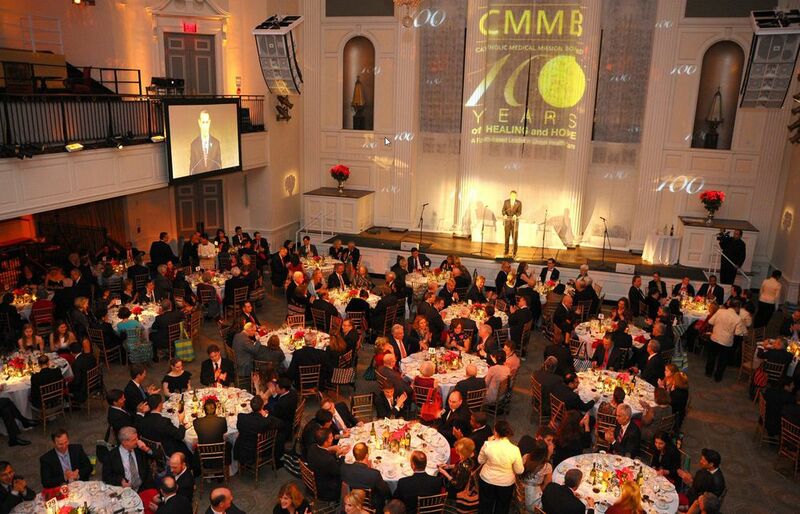 A beautiful canvass for the poignant faces of those who are served 365 days a year for the past 100 years by CMMBs work of volunteers and care takers. 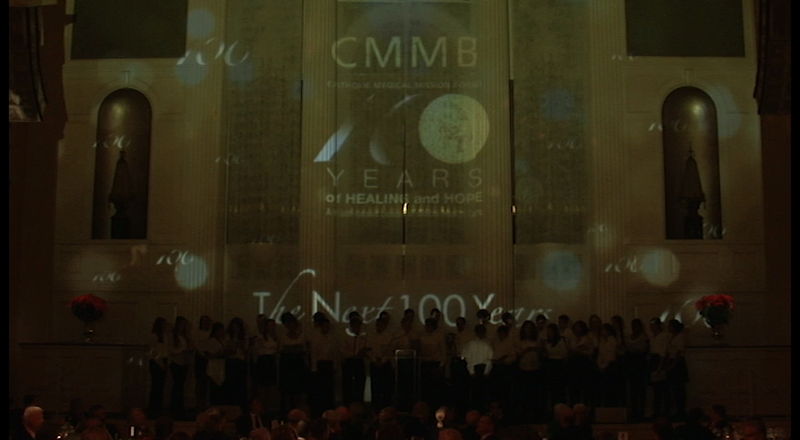 But the façade had too many deep architectural crevices, so we created chameleon scrim panels which served as a beautiful backdrop on which we projected a multitude of video elements that depict the past 100 years; CMMB today; and the hope and vision for CMMB into the next 100 years. 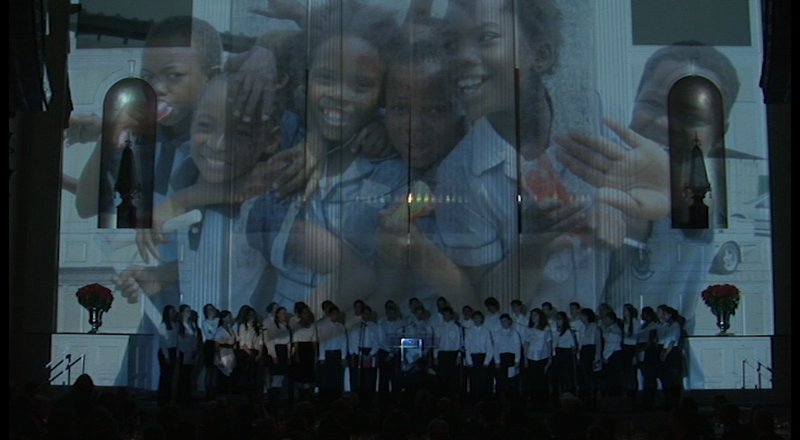 The production design started with a blank canvas of chameleon scrim panels that gracefully provide a backdrop for our projected imagery. 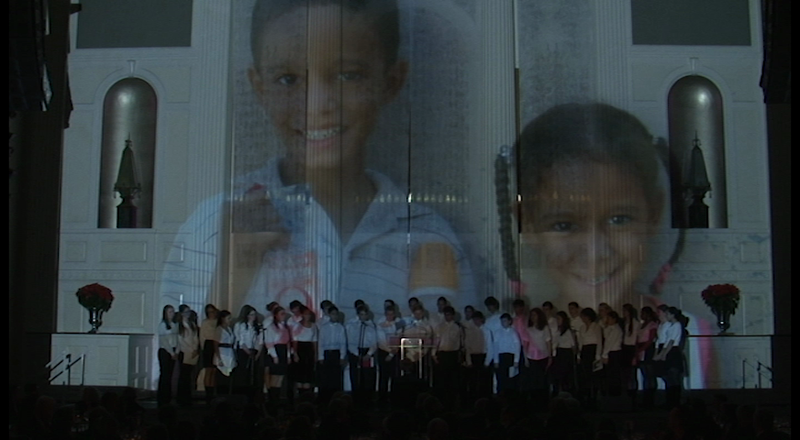 Program interludes featured the actual façade brightly lit giving the illusion that the chameleon scrim panels had disappeared. Creating 3D logo variations and beautiful landscapes and urbanscapes bring the essence of the far away lands to the audience in bigger than life visuals. 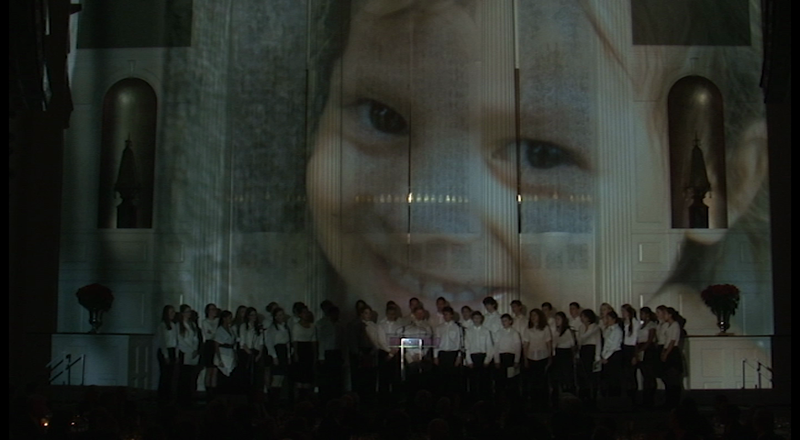 Large format video projection mapping done economically, suiting the budget limitations of a non-profit. 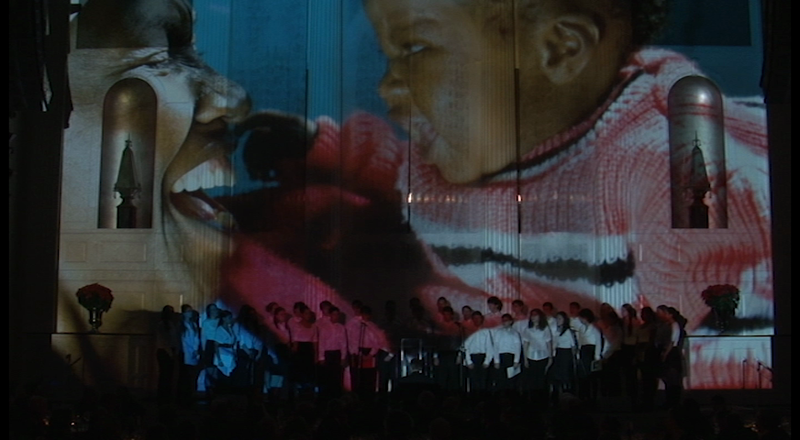 Emotionally charged video content married with live music performances that speak to the work of CMMB…decades of work saving lives captured in moments that inform and inspire.